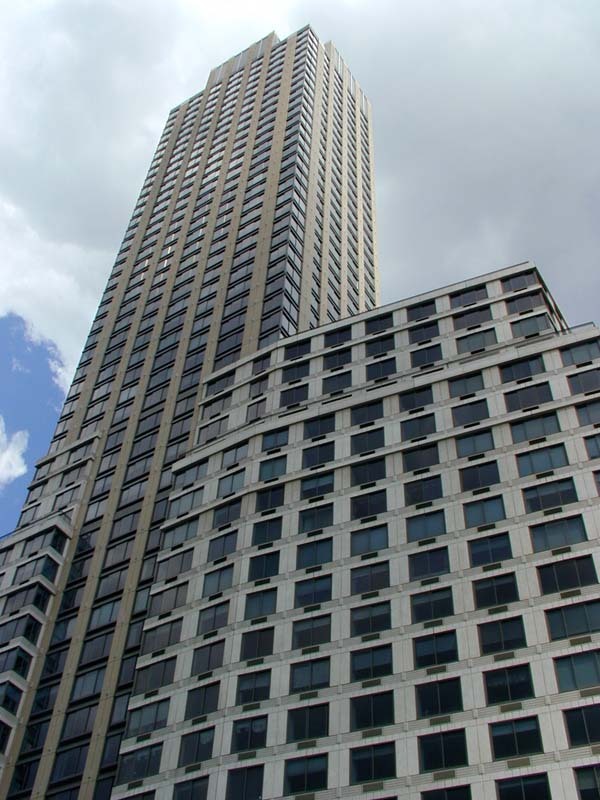 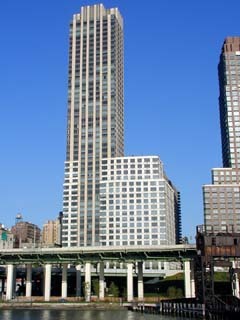 200 Riverside Boulevard at Trump Place. 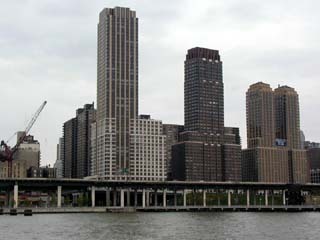 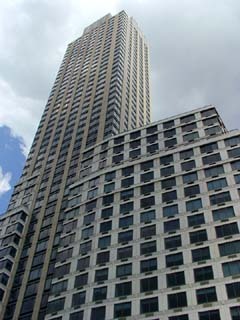 The view on Trump Place from the Hudson River on 20 May 2001. 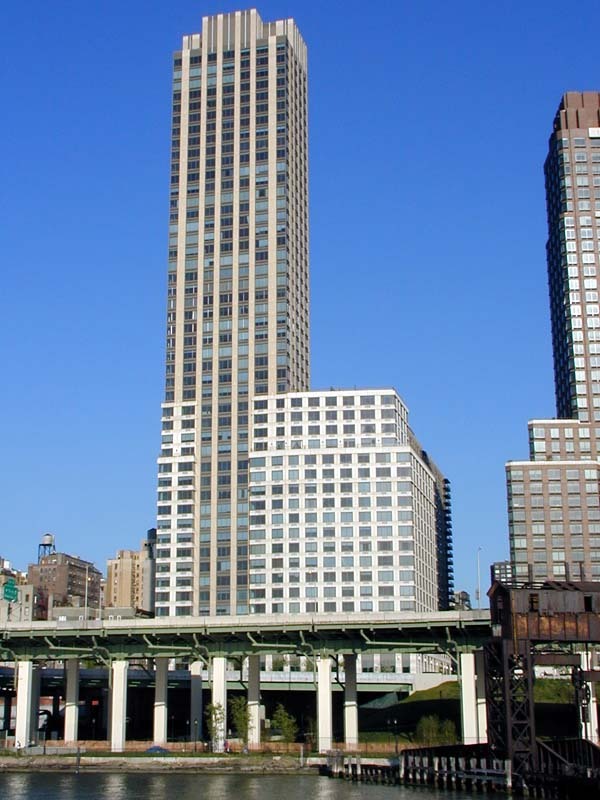 The crane of 220 Riverside Blvd to the left of 200 Riverside Blvd.